The XL-Board takes up very little space, as it compactly folds and tucks into place between the seat and the door. To offer stability while loading and unloading one’s wheelchair, the XL-Board comes complete with a retractable support arm. 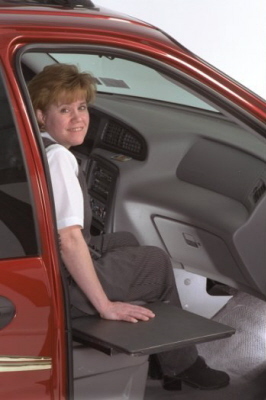 The non-motorized transfer board has a slightly cushioned vinyl surface that is removable, allowing easy access to the vehicle to accommodate a different driver. If you love minivans for the space and comfort they offer, but have trouble getting from your wheelchair up to your minivan seat, we have good news! The Glide ‘n Go lifts you up to your vehicle seat so you can make an easy transfer into the minivan. 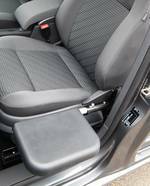 The Glide ‘n Go works on the driver or passenger side in the first or second row of seats. You can even use it in mid-sized vans like the Astrovan, and in full-sized vans too! 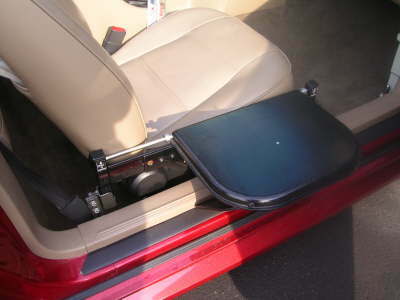 The Easy-Transfer is a flip-down transfer seat that acts as a bridge between your wheelchair or scooter and your vehicle seat. Securely attached to the vehicle and easier to use than a transfer board, the Easy-Transfer stows quickly when you are driving, or when other drivers or passengers use your car. No more struggling with that slippery, unstable transfer board! The Veigel Transfer Board provides great assistance with little effort. 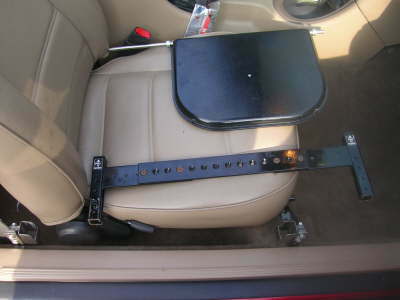 It facilitates the transfer from the wheelchair into the vehicle and vice versa. The board is space saving, foldable and detachable with only a few movements if not in operation. Fast and easy installation thanks to specific kits for current vehicles.